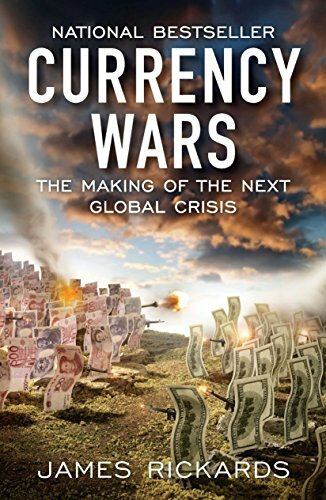 Currency Wars: The Mak... James Rickards Best Price: $1.64 Buy New $4.26 (as of 07:20 EDT - Details) The ongoing trade conflict between the United States and China, as well as sanctions against Beijing’s biggest trading partners have forced China to take steps towards relieving the dollar dependence of the world’s second-largest economy. In Beijing’s signature soft-power style, the government hasn’t made any loud announcements on the issue. However, the People’s Bank of China has been regularly reducing the country’s share of US Treasuries. Still the number-one foreign holder of the US sovereign debt, China has cut its share to the lowest level since May 2017. Moreover, instead of promptly dumping the greenback, China is trying to internationalize its own currency, the yuan, which was included in the IMF basket alongside the US dollar, the Japanese yen, the euro, and the British pound. Beijing has recently made several steps towards strengthening the yuan, including accumulating gold reserves, launching yuan-priced crude futures, and using the currency in trade with international partners. As part of its ambitious Belt and Road Initiative, China is planning to introduce swap facilities in participating countries to promote the use of the yuan. Moreover, the country is actively pushing for a free-trade agreement called the Regional Comprehensive Economic Partnership (RCEP), which will include the countries of Southeast Asia. The trade pact could easily replace the Trans-Pacific Partnership (TPP), the proposed multi-national trade deal which was torn up by US President Donald Trump shortly after he took office. RCEP includes 16 country signatories and the potential pact is expected to form a union of nearly 3.4 billion people based on a combined $49.5 trillion economy, which accounts for nearly 40 percent of the world’s GDP. Ranked the world’s sixth-largest economy, India is one of the biggest merchandise importers. It’s not surprising that the country is directly affected by most global geopolitical conflicts and is significantly impacted by sanctions applied to its trading partners. Earlier this year, Delhi switched to ruble payments on supplies of Russian S-400 air-defense systems as a result of US economic penalties introduced against Moscow. The country also had to switch to the rupee in purchases of Iranian crude after Washington reinstituted sanctions against Tehran. In December, India and the United Arab Emirates sealed a currency-swap agreement to boost trade and investment without the involvement of a third currency. Taking into account that India is the third-largest country by purchasing power parity, steps of this kind could considerably diminish the role of the greenback in global trading. 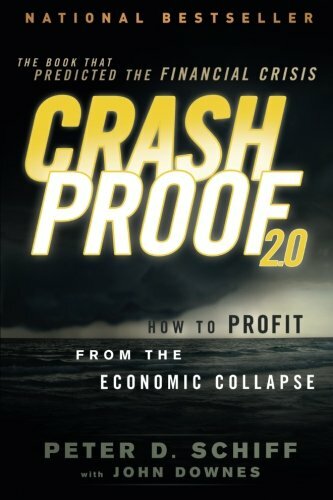 Crash Proof 2.0: How t... Peter D. Schiff Best Price: $2.34 Buy New $6.08 (as of 06:05 EDT - Details) Earlier this year, Turkish President Recep Tayyip Erdogan announced plans to end the US dollar monopoly via a new policy that is aimed at non-dollar trading with the country’s international partners. Later, Turkey’s leader announced that Ankara is preparing to conduct trade through national currencies with China, Russia and Ukraine. Turkey also discussed a possible replacement of the US dollar with national currencies in trade transactions with Iran. The move was prompted by political and economic reasons. Relations between Ankara and Washington have been deteriorating since the failed military coup in the country to oust President Erdogan in 2016. It’s been reported that Erdogan suspects US involvement in the uprising and accuses Washington of harboring exiled cleric Fethullah Gulen, whom Ankara blames for masterminding the coup. The Turkish economy sank after Washington introduced economic sanctions over the arrest of US evangelical pastor Andrew Brunson on terrorism charges in relation to the uprising. Erdogan has repeatedly slammed Washington for unleashing a global trade war, sanctioning Turkey and trying to isolate Iran. The NATO member’s decision to buy Russian S-400 missile systems added fuel to the fire. Moreover, Turkey is trying to ditch the dollar in an attempt to support its national currency. The lira has lost nearly half of its value against the greenback over the past year. The currency plunge was exacerbated by soaring inflation and increasing prices for goods and services. A triumphant return of Iran to the global trading arena did not last long. Shortly after winning the US presidential election, Donald Trump opted to withdraw from the 2015 nuclear deal signed between Tehran and a group of nations, including the UK, US, France, Germany, Russia, China, and the EU. The oil-rich nation has once again become a target for severe sanctions resumed by Washington, which has also threatened to introduce penalties against any countries that would violate the embargo. The punitive measures banned business deals with the Islamic Republic and cracked down on the country’s oil industry. 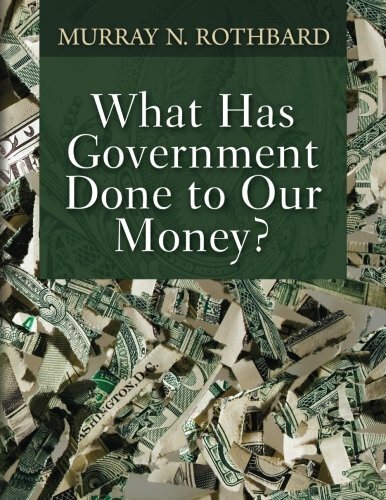 What Has Government Do... Murray N. Rothbard Best Price: $19.95 Buy New $6.50 (as of 08:05 EDT - Details) Sanctions have forced Tehran to look for alternatives to the US dollar as payment for its oil exports. Iran clinched a deal for oil settlements with India using the Indian rupee. It also negotiated a barter deal with neighboring Iraq. The partners are also planning to use the Iraqi dinar for mutual transactions to reduce reliance on the US dollar amid banking problems connected to US sanctions. President Vladimir Putin said the US is “making a colossal strategic mistake” by “undermining confidence in the dollar.”Putin has never called for restricting dollar transactions or banning the use of US currency. However, Russian Finance Minister Anton Siluanov said earlier this year that the country had to dump its holdings of US Treasuries in favor of more secure assets, such as the ruble, the euro, and precious metals. The country has already taken several steps towards de-dollarizing the economy due to the constantly growing burden of sanctions that have been introduced since 2014 over a number of issues. Russia has developed a national payment system as an alternative to SWIFT, Visa and Mastercard after the US threatened tougher new sanctions that would target Russia’s financial system. So far, Moscow has managed to partially phase out the greenback from its exports, signing currency-swap agreements with a number of countries including China, India and Iran. Russia has recently proposed using the euro instead of the US dollar in trade with the European Union. Once a top-10 holder of US sovereign debt, Russia has all but eliminated its holdings of US Treasuries. Moscow has used the money to boost the nation’s foreign reserves and to build up its gold stockpile to stabilize the ruble.